DAVID LAGERCRANTZ is an acclaimed Swedish author and journalist. 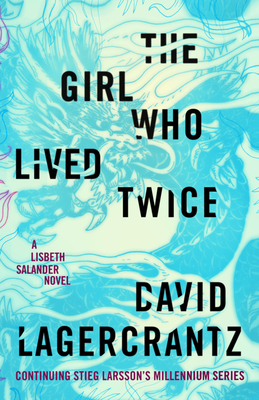 In 2015 The Girl in the Spider's Web, his continuation of Stieg Larsson's Millennium Trilogy, became a worldwide best seller, and it was announced that Lagercrantz would write two further novels in the series. The Girl Who Takes an Eye for an Eye was published in September 2017. He is the coauthor of numerous biographies (including the internationally best-selling memoir I Am Zlatan Ibrahimovi&#263;) and the acclaimed novel Fall of Man in Wilmslow, on the death and life of Alan Turing.